Congratulations to Walnut Ridge for receiving two honors at the 2013 Arkansas Governor’s Conference on Tourism that was held in Hot Springs. 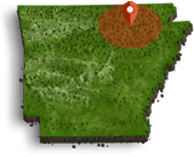 The first honor Walnut Ridge received was the Welcome to Arkansas community of the Year. It was presented for excellence in tourism and guest service. Walnut Ridge was one of eight finalists for the award, 89 communities participated in the program. The next honor Walnut Ridge received was winning the Bootstrap Award that was one of several annual Henry Awards giving by the Arkansas Department of Parks and Tourism at their Banquet. Next time you have a chance take a drive over to Walnut Ridge and take notice of the many new and unique developments the town has achieved. You will be amazed at all the progress, keep an eye on Walnut Ridge, and watch history in the making.